Last week, I shared my strategy for searching for a literary agent. This week's post includes lesser-known tips for writing an email query letter and advice that I followed for writing the dreaded one-page synopsis. - The positioning of the book and comparative titles. - The hook and story. - My qualifications to write it. - Some humor to reflect the writing style of book. - Check the agents Web site for specifics on what to include in the subject line. 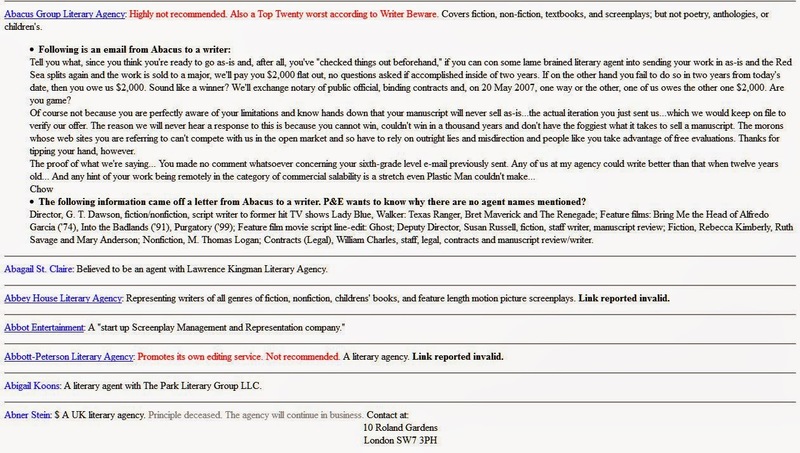 - If the site offers no details, I've been going with either: "Query: agents name to whom I'm directing the query" or "Query and title of novel and category"
"How to format an email query for literary agents"
"Subject lines are your bffs"
- One of their authors recommended you query them. - You met the agent at a conference. 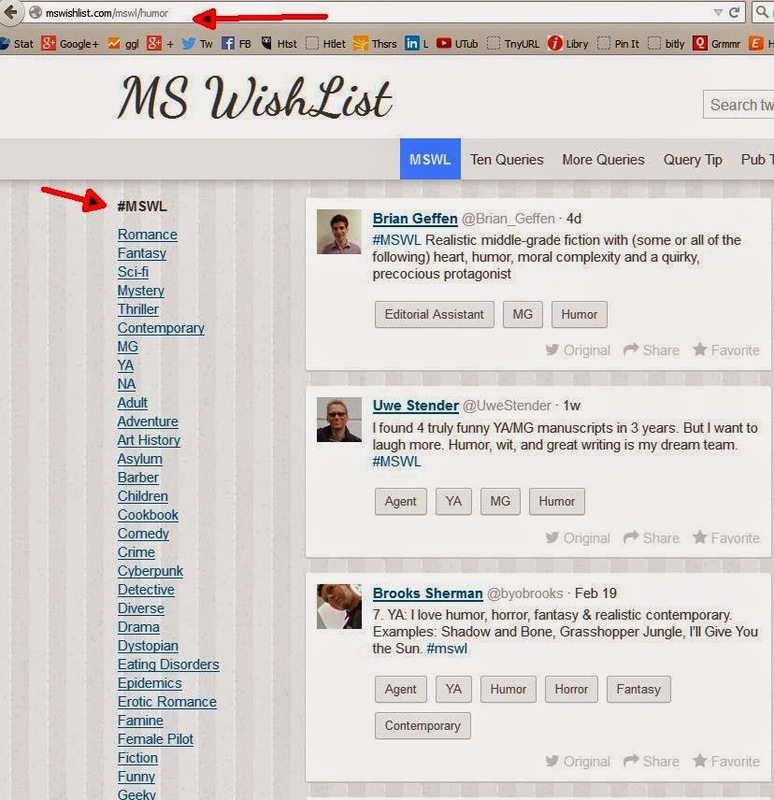 - You saw them on a manuscript wish-list site and your book fits their needs. - You read their author's book, liked it, and wanted to query. On the other hand, some agents don't care if you have a good reason and will read your query anyway. My synopsis took me a week to write. The experience kind of sucked. In my agent research so far, it seems that a one-page query is the norm -- which is fine, I don't want to write a longer one. - Succinctly describing the main story, eschewing any subplots. - Including a brief description of the protagonist. 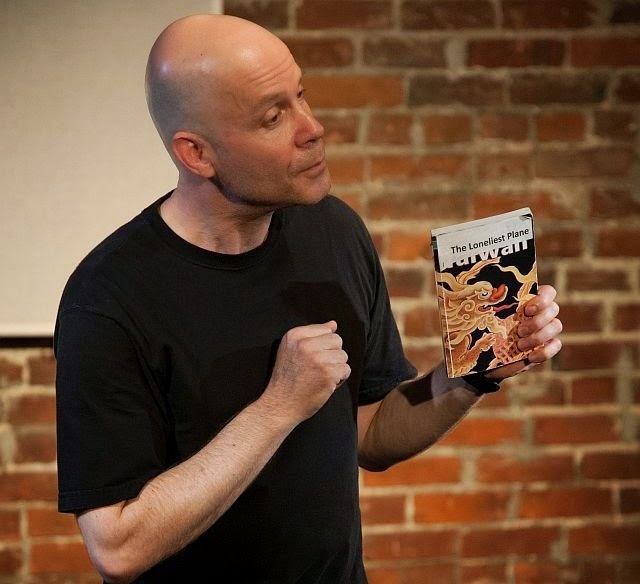 - Injecting some humor, when appropriate, because my book is supposed to be funny . 1) Once your email query is done, send it to yourself to see how it looks and to check for weird formatting. - a query and synopsis and first 10 pages. Note: By having ready-made files, I can simply copy and paste the required text without having to assemble each one on the fly. Unless, requested otherwise, most agents will want you to paste the text into your email as opposed to sending documents as attachments. - Consider querying agents who don't profess interest in your particular category or genre. - If one agent at an agency says no, query other agents at the same agency. - If you don't hear back from an agent within 30 days, query them two more times. - First, query literary agents. - Then try small publishers, university presses, and publishing contests where the prizes include having your book published. - Then, if you have the time and budget, self-publish. *Note: I am not attempting to pass myself off as an expert on these topics. This article is a compilation of advice that author friends have followed. The advice seemed to make sense to me, so I'm following it. I am two weeks into the agent-querying process. So far, I've queried 15 agents: Three told me to take a hike, one requested a full manuscript, and from the others, so far just hearing crickets. After seven years of classes, writing, and rewriting, I finally finished my novel. Apparently, that was the easy part because now I'm trying to find an agent, which I'm approaching with more trepidation than bungee jumping. - Vetting the agents to see if they're legit and successful at selling work similar to mine. One of the first question any writer needs to ask himself: How many agents will I query before I give up and consider other options? I heard of one guy who hit 70 agents until he found one. I currently have a list of 45 possible agents, whom I'm contacting at a rate of 10 every two weeks. Getting a referral to an agent from one of their current authors is probably the best way to start. Ask friends and other authors. In my experience, some people I expected to help, wouldn't lift a finger. 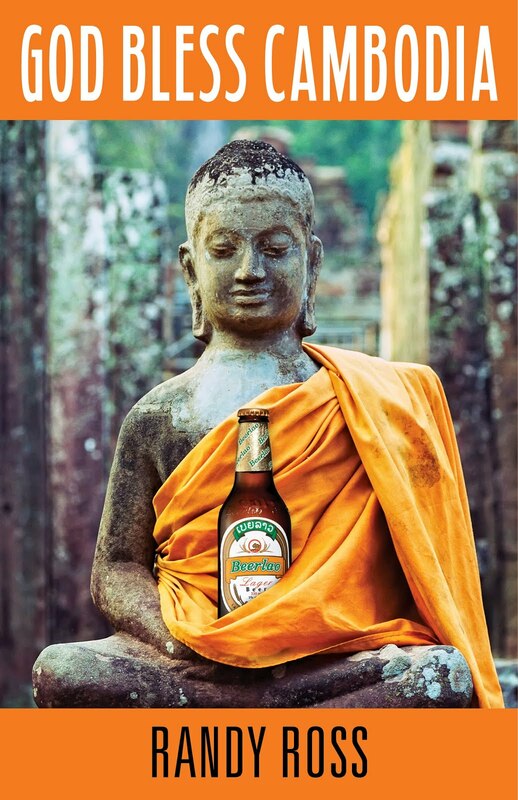 Other people whom I met only once, say at a party, gave me a referral. But you have to ask! Some writing conferences are worth attending. Some are a waste of time and money. 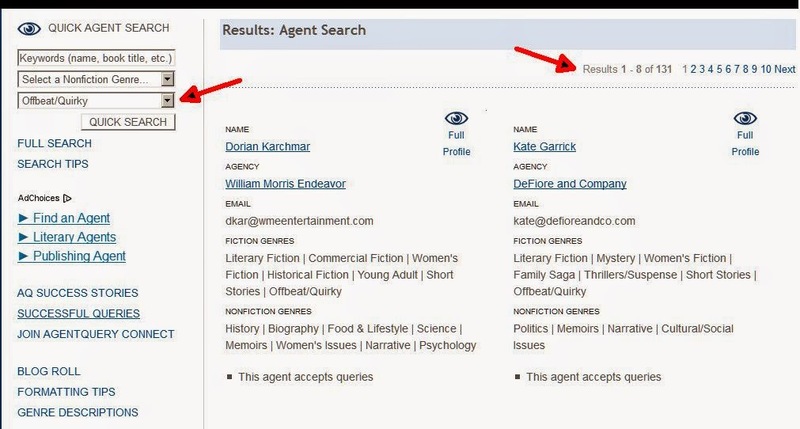 Regardless, agents attending are probably looking for writers so you can read their profiles on the conference Web site and, if they cover your type of book, query them. - Grub Street Muse and the Marketplace in Boston. (Pros: you can meet with agents for 20 minutes. They will review your query letter and first 20 pages. Cons: expensive ($710 to see two agents and attend for one day, the minimum attendance.) But you can view the list of attending agents without signing up. I went to a live event in 2010. I met four agents, two were interested in seeing my finished novel. Unfortunately, this was five years ago: Since then, one of the agents left the business. I've contacted the other, who may or may not remember me. This event is now an online only event -- a virtual conference, but you can view the list of agents without signing up. 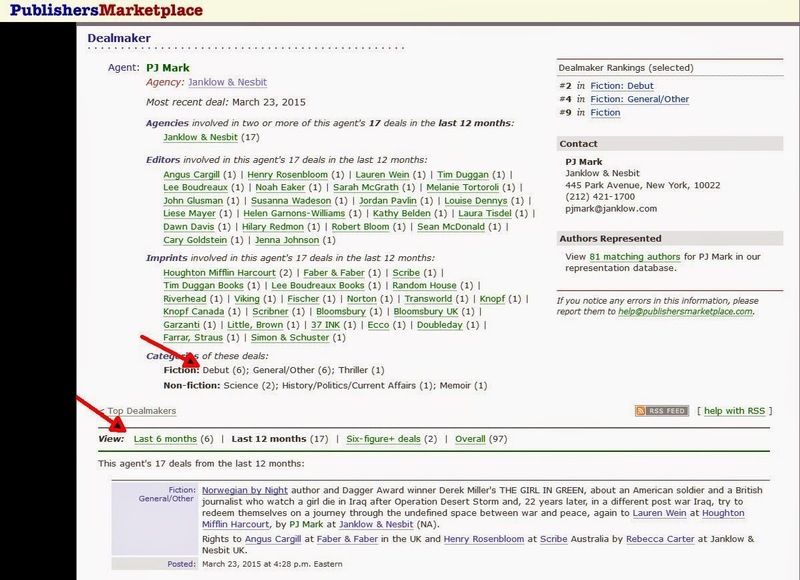 Find an author's agent using Publishers Marketplace. Also, check the cover of comparable books: Which authors are recommending this book? They may write comparable books. 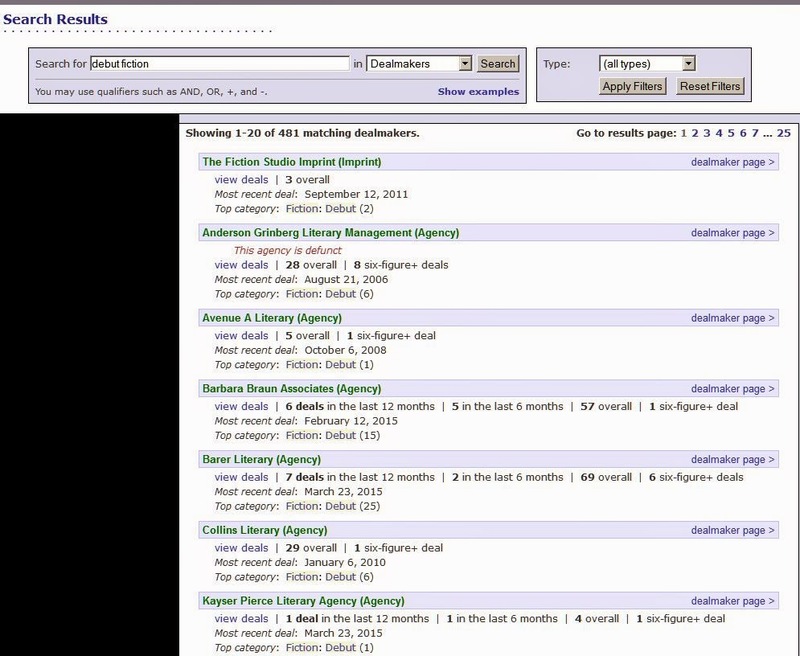 Results for a Query Tracker search on agents who will consider "quirky" novels. Results for an Agent Query search on "quirky." 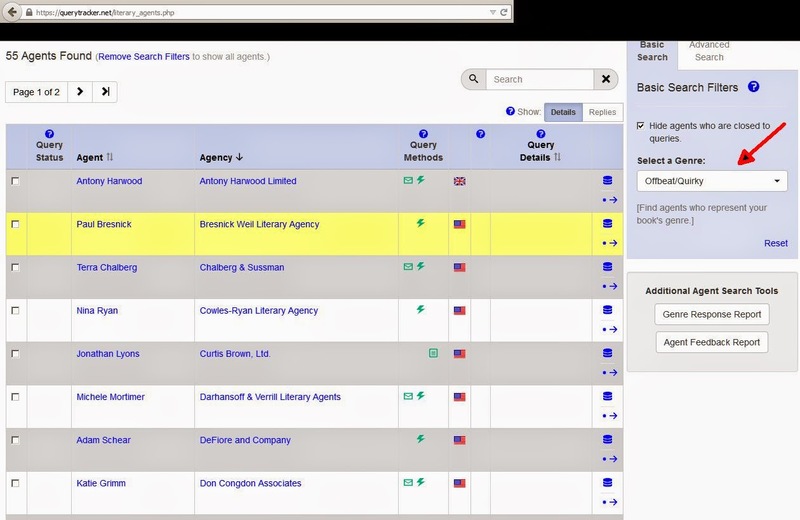 A search on agents who've sold novels from "debut authors." Some agents post what type of books they're looking for on Twitter using the hashtag #mswl or on the Web site Manuscript Wish List. 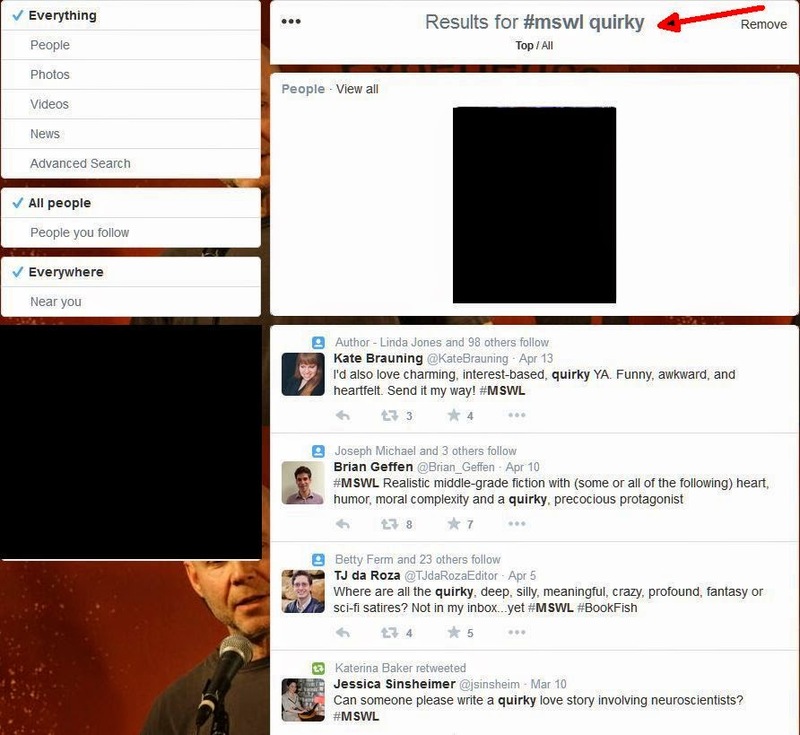 To search on Twitter, enter the hastag, then a space, and your genre. To search on Twitter, enter the hastag, then a space, and your genre. In this example, I search for: #mswl quirky. 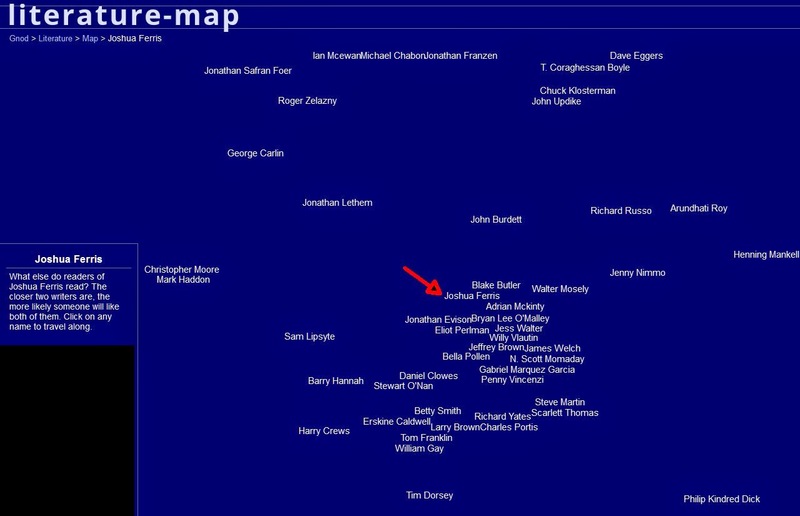 Here I searched the list of genres, indicated by the arrow, for humor. - Post on Facebook and ask friends if they know an agent or an agented author who might talk to you. 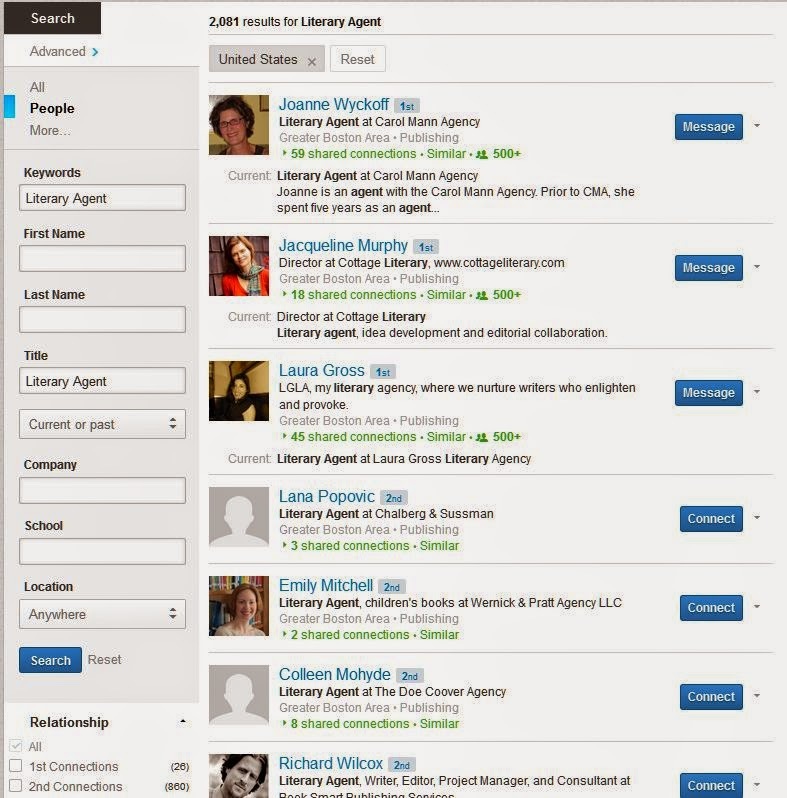 I am contacting you because we are connected on LinkedIn by <connections name> and because you represent <name of a comparable author or appropriate genre>"
If they haven't sold any books similar to mine recently, might be best to skip them. 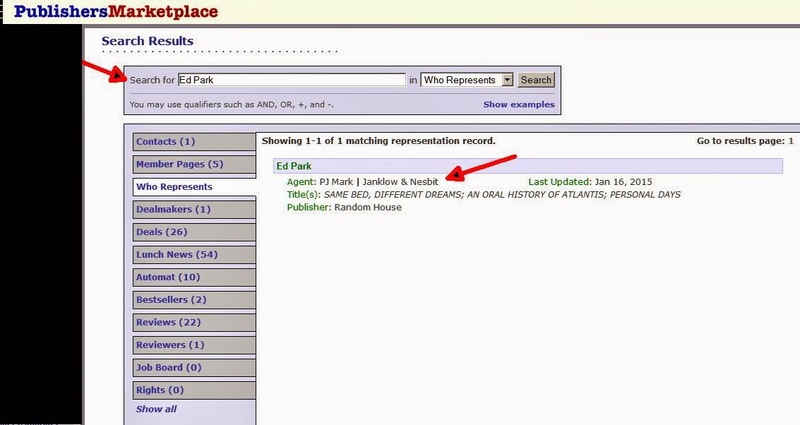 Use Publishers Marketplace to see if an agent has been selling books like yours recently. Here you'll find information on what the agent wants to see in a query and offers a good way of double-checking information found on other sites. 3) Look for dirt: Is that agent legit? Writers Beware and Preditors and Editors list problem agents. 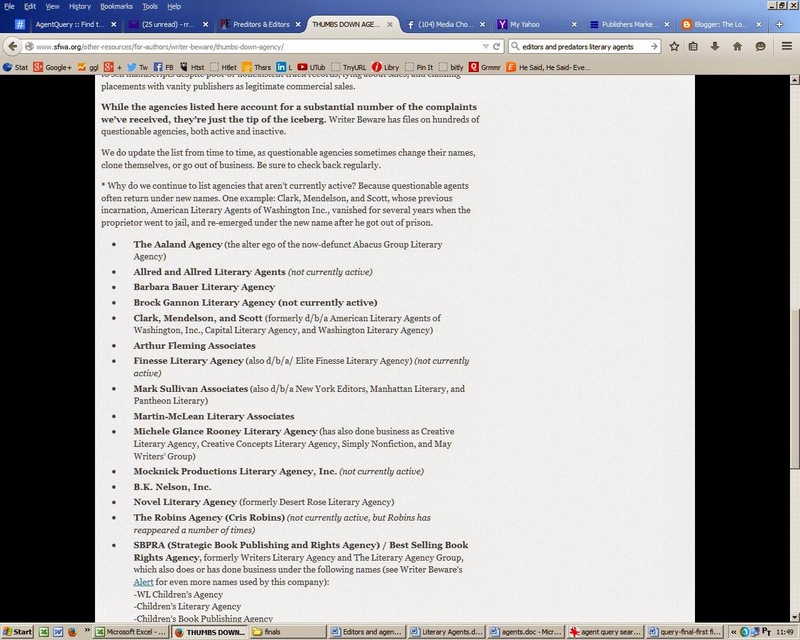 The Writers Beware "Thumbs Down" page lists questionable agents. Preditors Editors also offers information on problem agents. - query letters: Let them know that you're not just another knucklehead and why you're contacting them. - resources for writing the dreaded synopsis, how I wrote mine. *Note: I am not attempting to pass myself off as an expert. This article is a compilation of advice that author friends have followed. The advice seemed to make sense to me, so I'm following it. I am two weeks into the process. So far, three agents have told me to take a hike and one is reading my full manuscript. Fingers crossed. 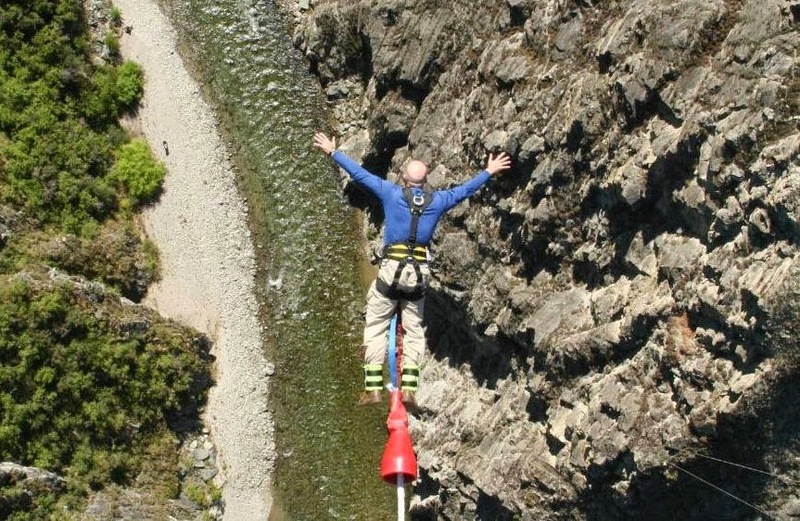 Photo credit: Not sure who to credit for the photo, but the image is of me bungee jumping in New Zealand.